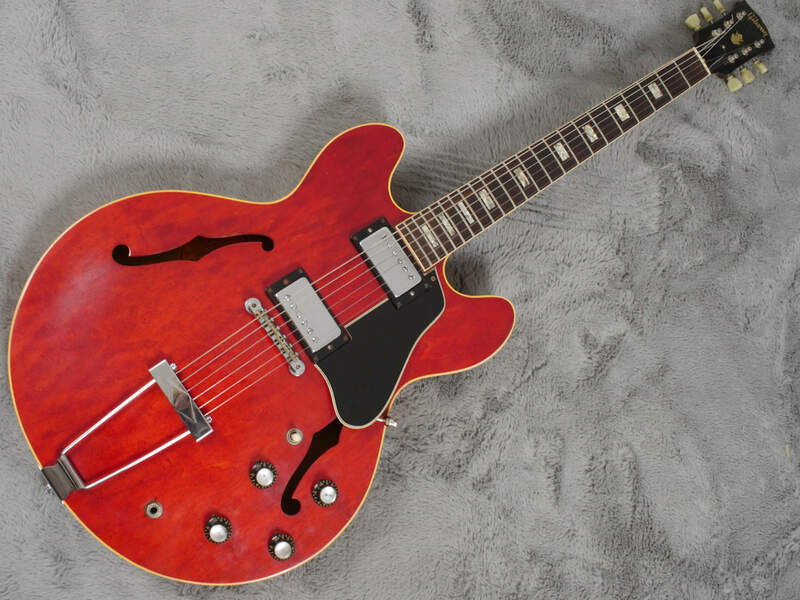 Iconic guitar, iconic colour from such an iconic year if you follow International soccer, but don’t let that cloud your judgment. 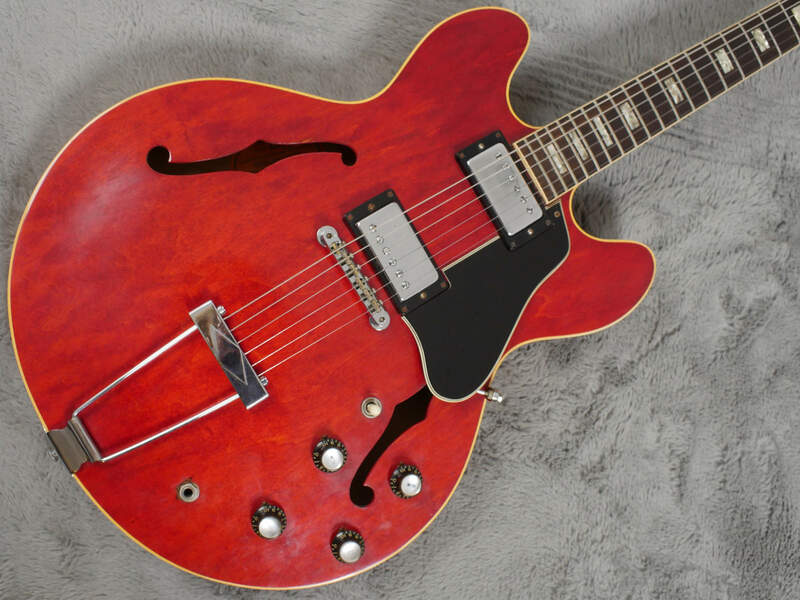 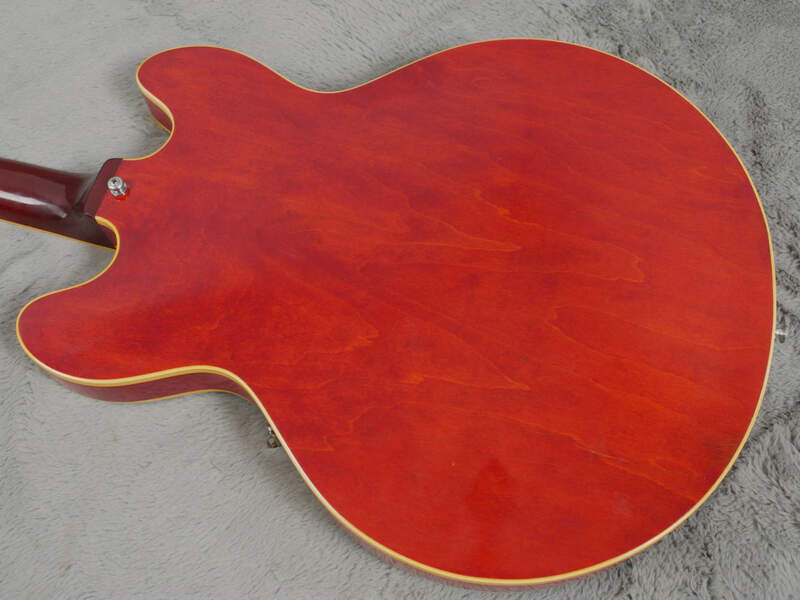 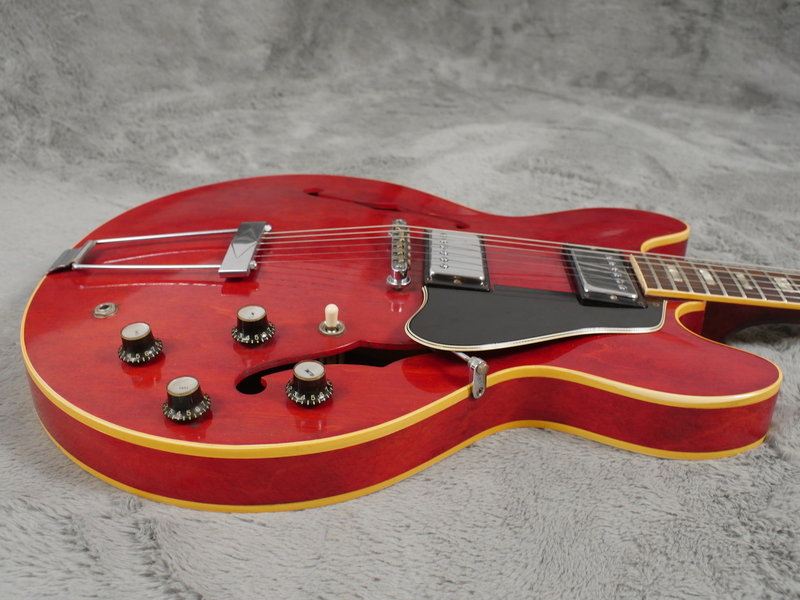 This very nice 1966 Gibson ES-335 is as much deserving of your attention as its more famous older brothers. 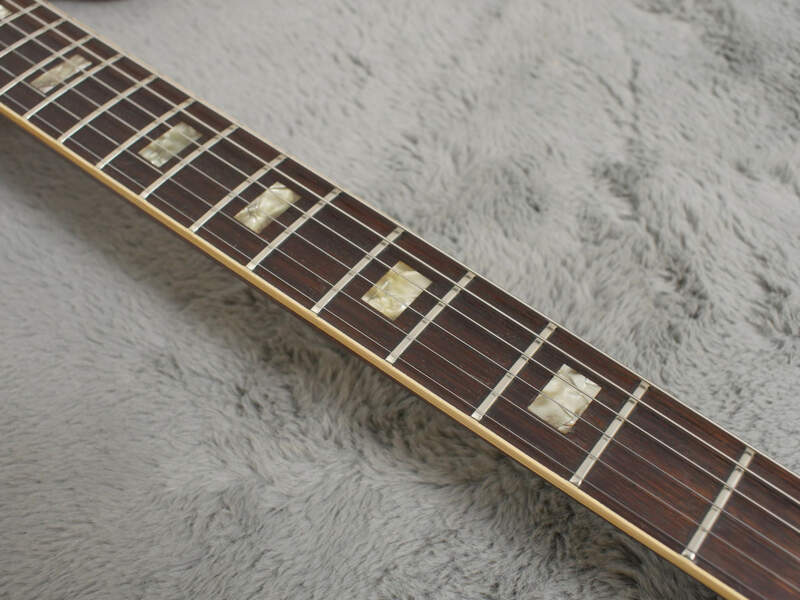 The original frets too are in great shape with light wear and the guitar plays real well with a superb setup. 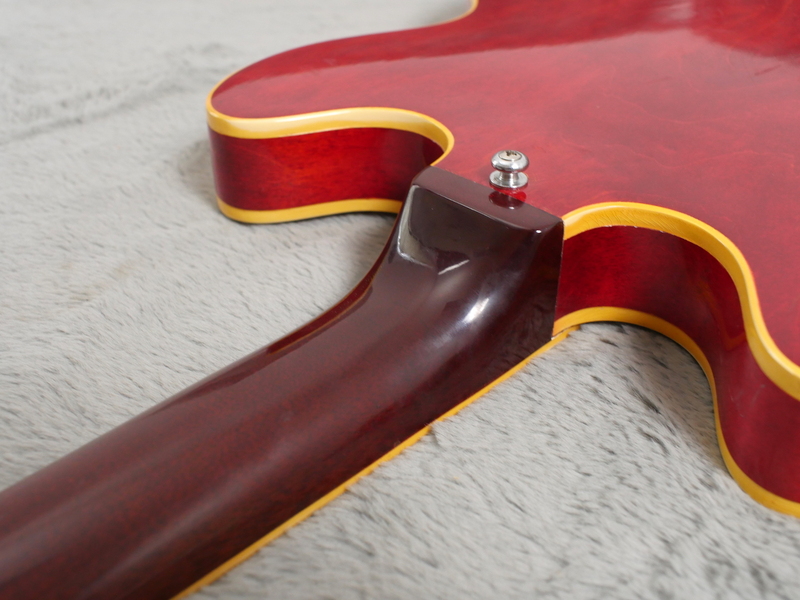 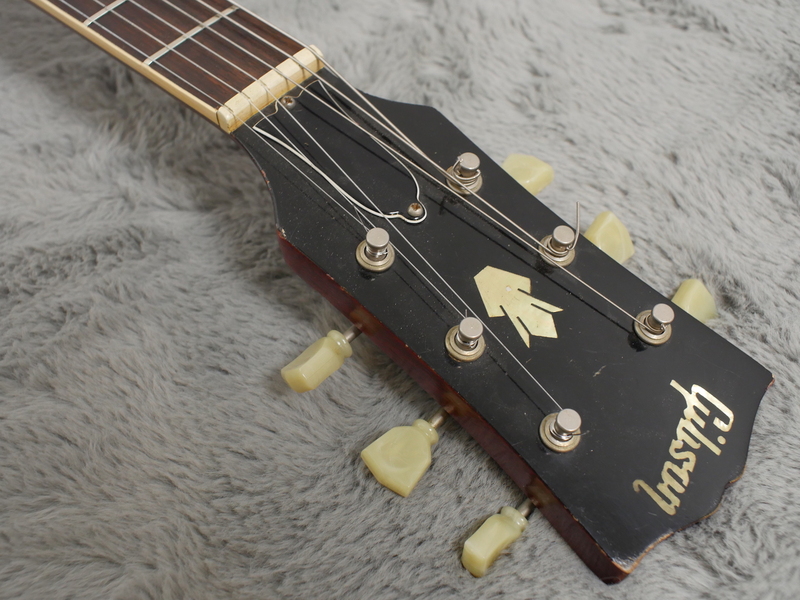 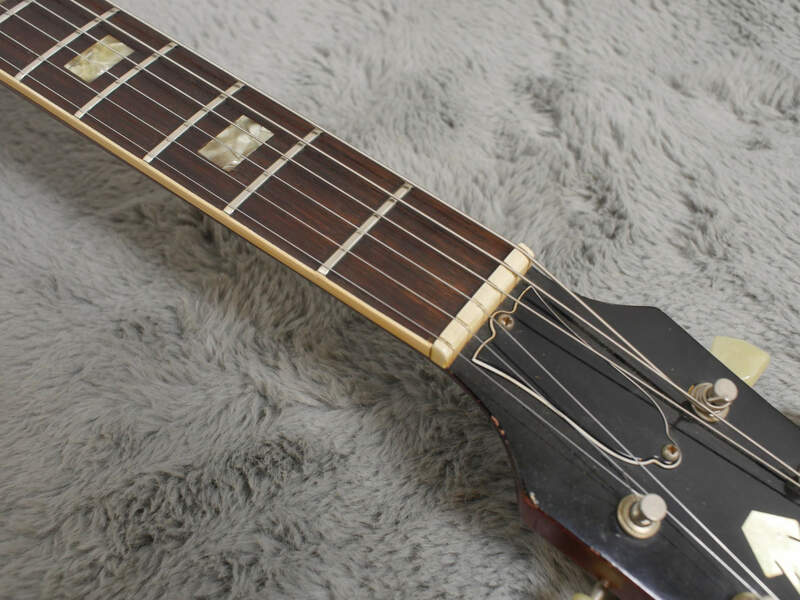 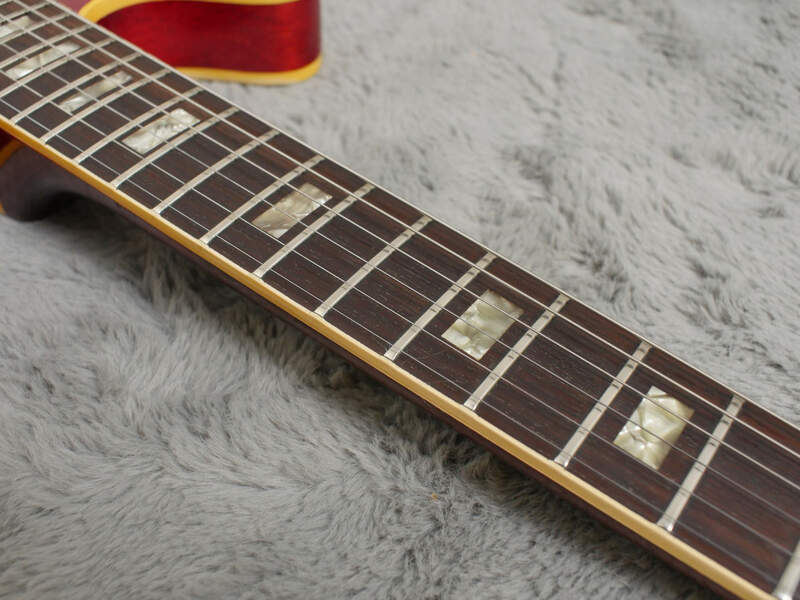 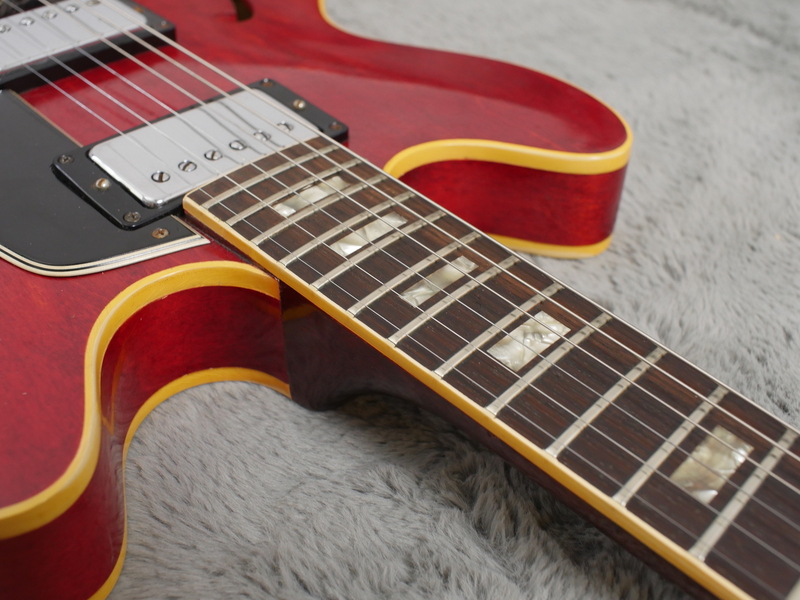 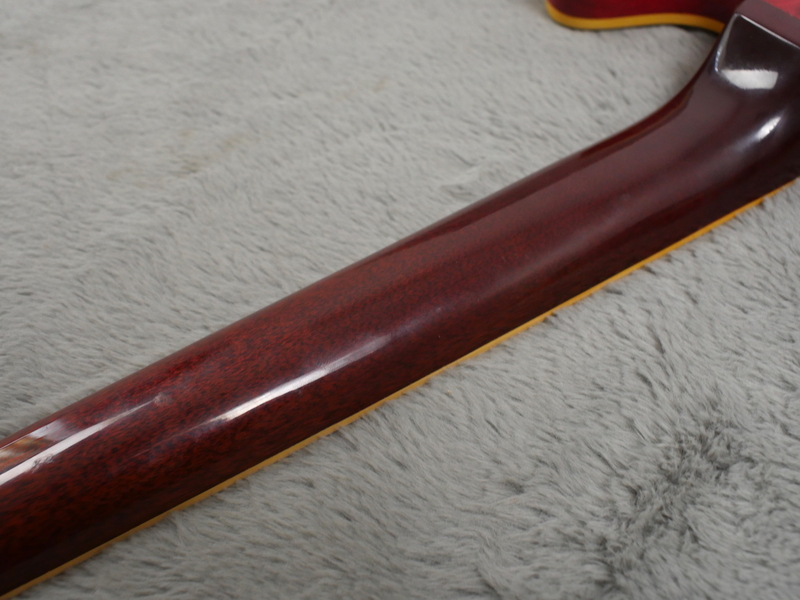 The only thing we can see out of place are the tuners which have have been replaced with the correct type but stamped ‘Gibson Deluxe’ rather than ‘Kluson Deluxe’ indicating a 1969-1974 build. 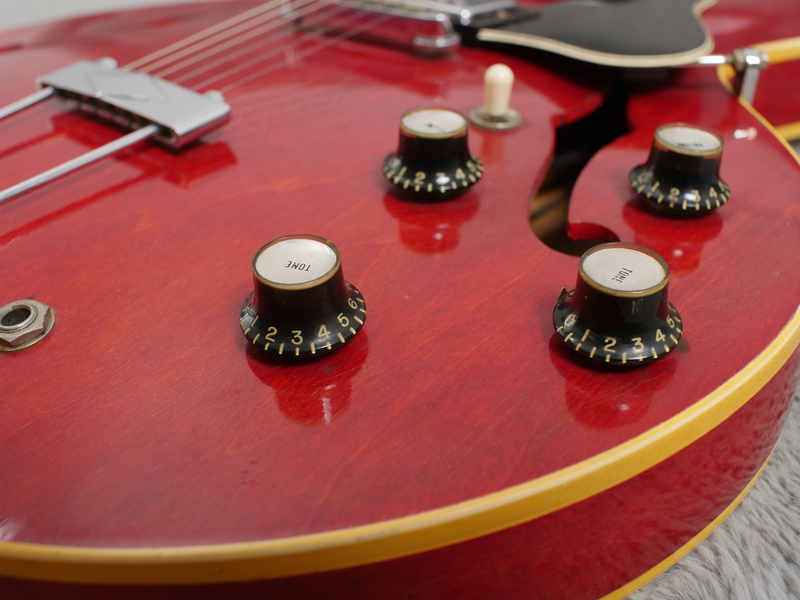 They also have single ring rather than double ring buttons. 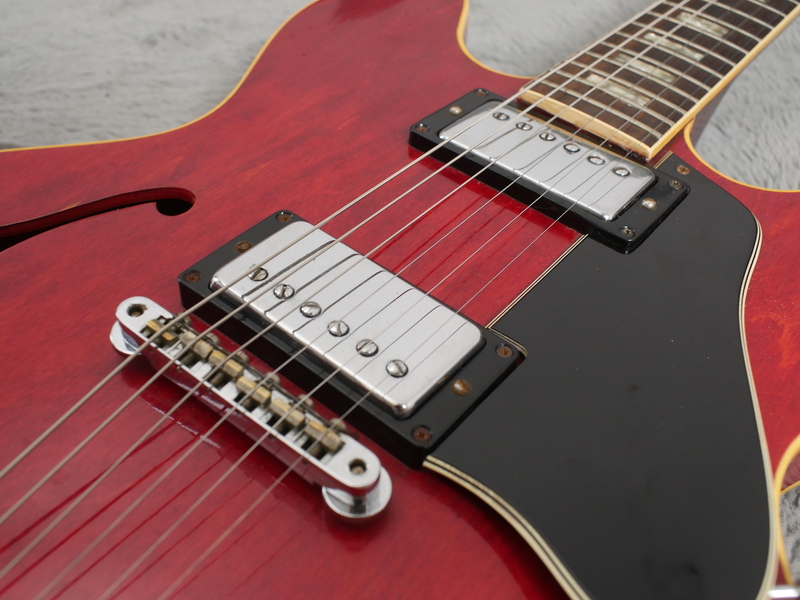 Gleaming original chrome hardware completes the scene. 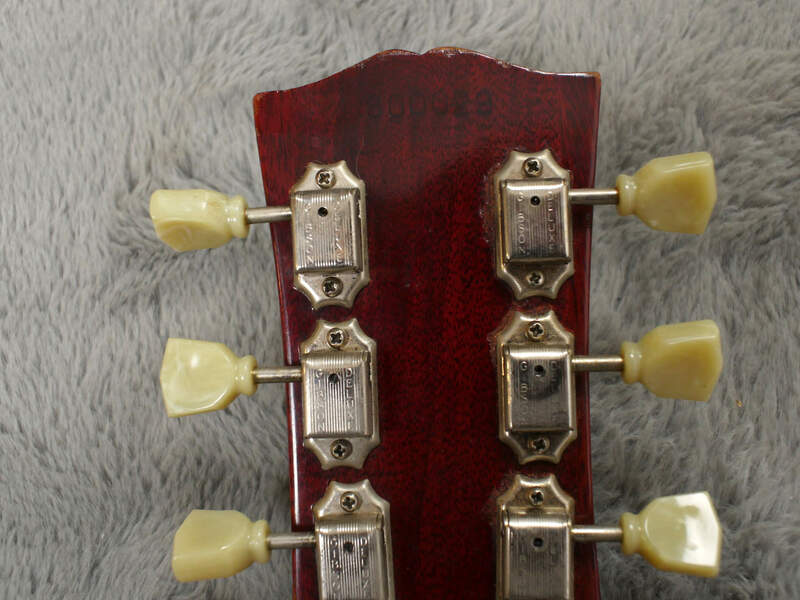 Serial number could date this as a 1966, 1967 or 1968 but with the knobs this rules out 68 and half of ‘67 so we checked the pot codes, all with original solder on, these date to early 1966 so we place the guitar as leaving Kalamazoo around mid ‘66. 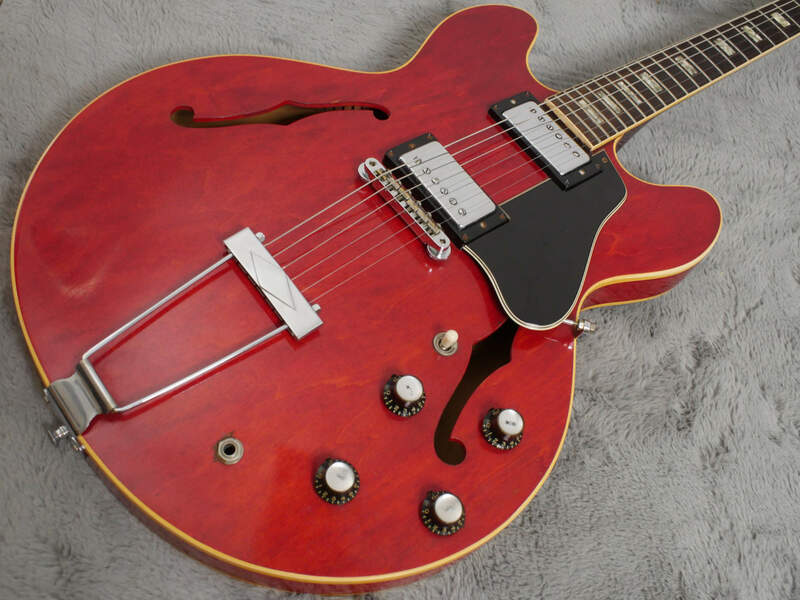 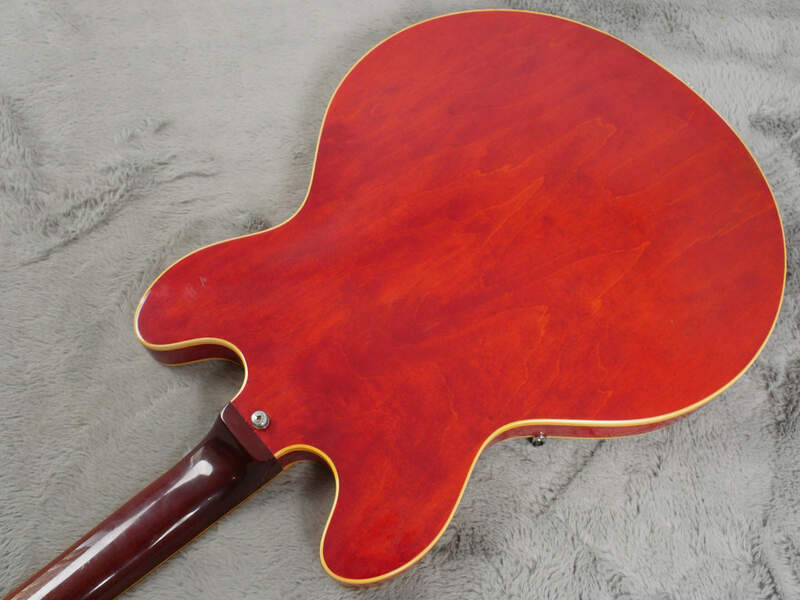 You’ll find here all your semi-hollow tonal markers, heft from the low end tempered by chimey top and plenty of sustain regardless of the trapeze tail piece. 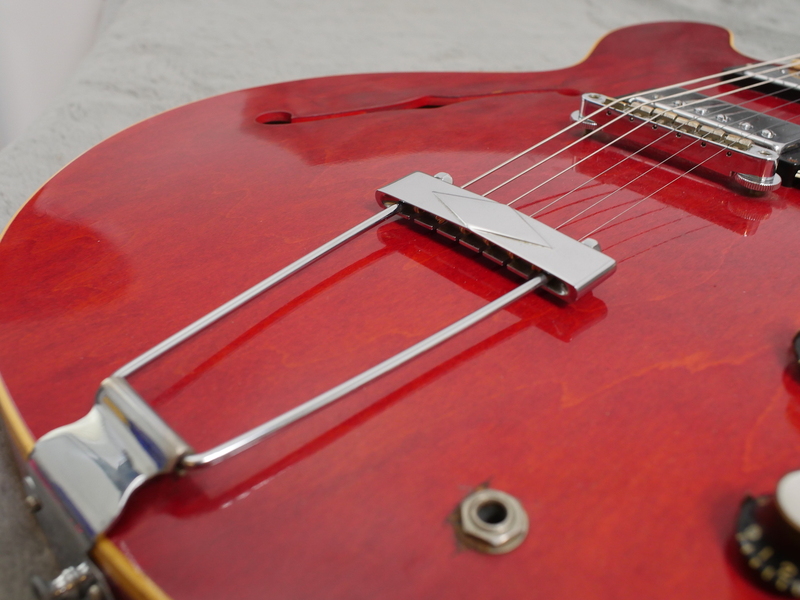 Both Pat number, sticker pickups are balanced and give this guitar a breadth of tonal options. 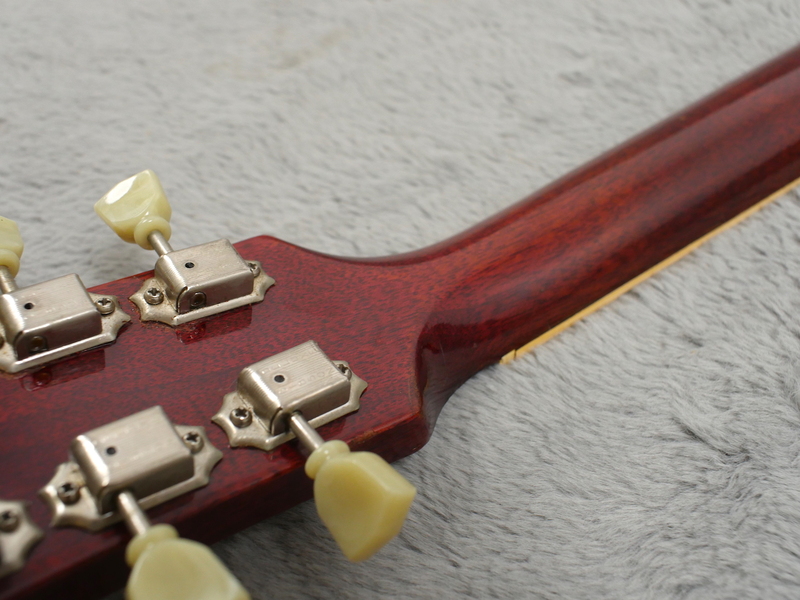 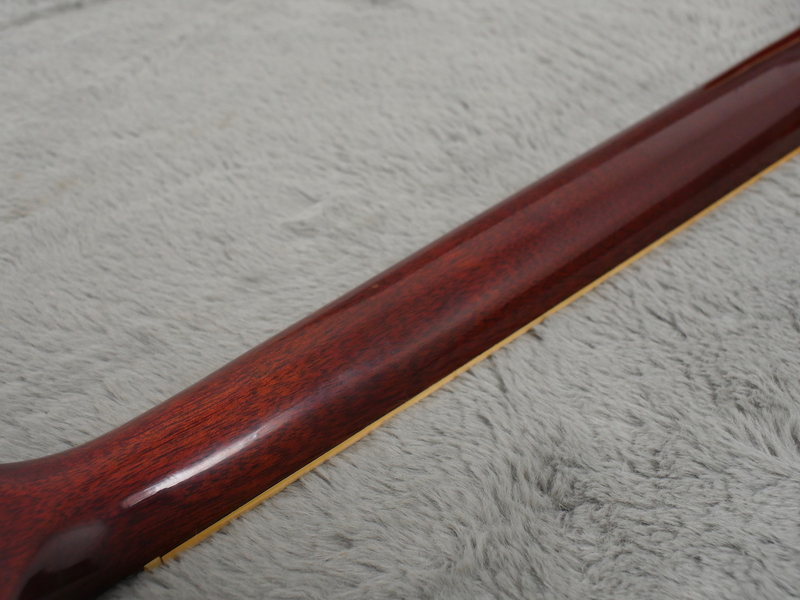 The neck is articulate and clear, the bridge has plenty of bite without sounding harsh. 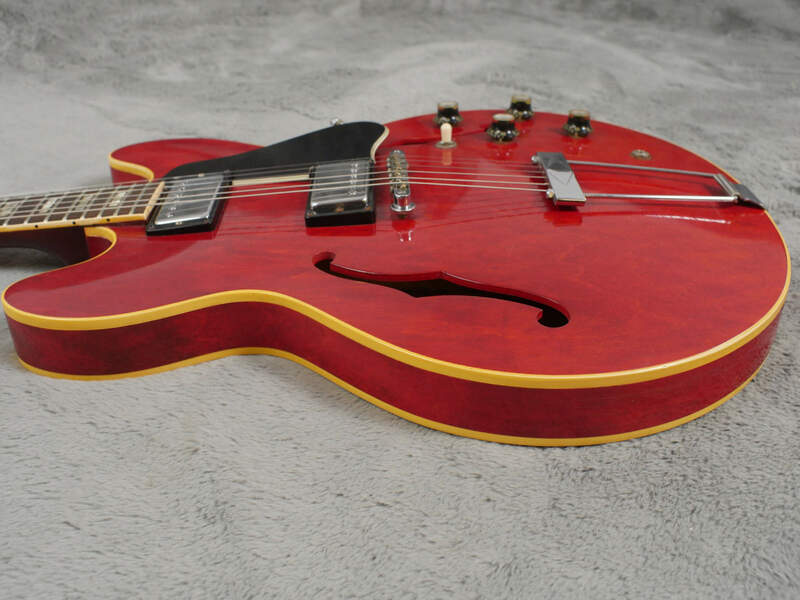 This guitar not only looks the part but sounds it too!. 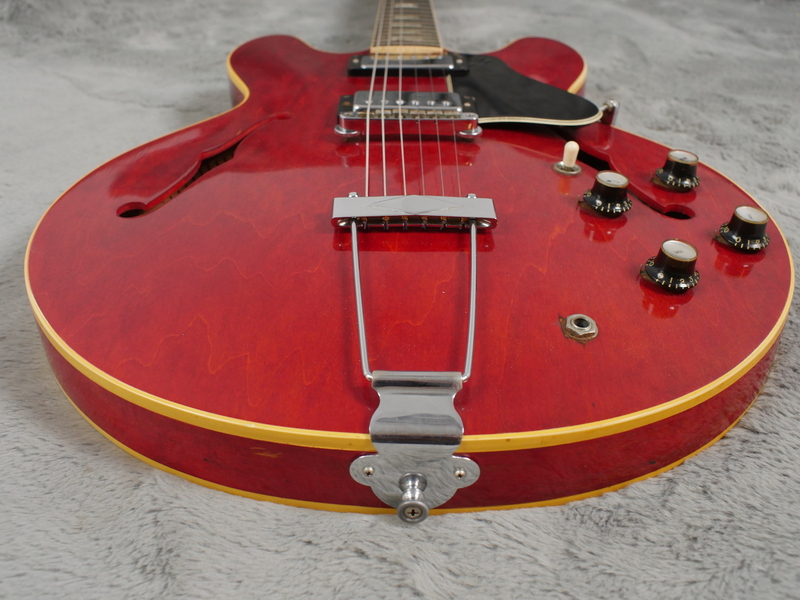 This is a great package. 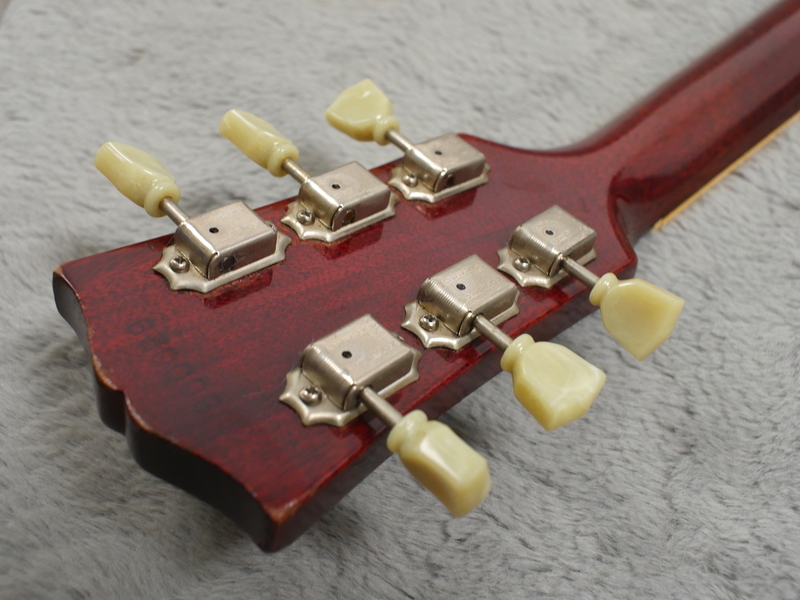 Head turning good looks, a comfortable neck you won’t want to put down and tone that’ll put a smile on your face. 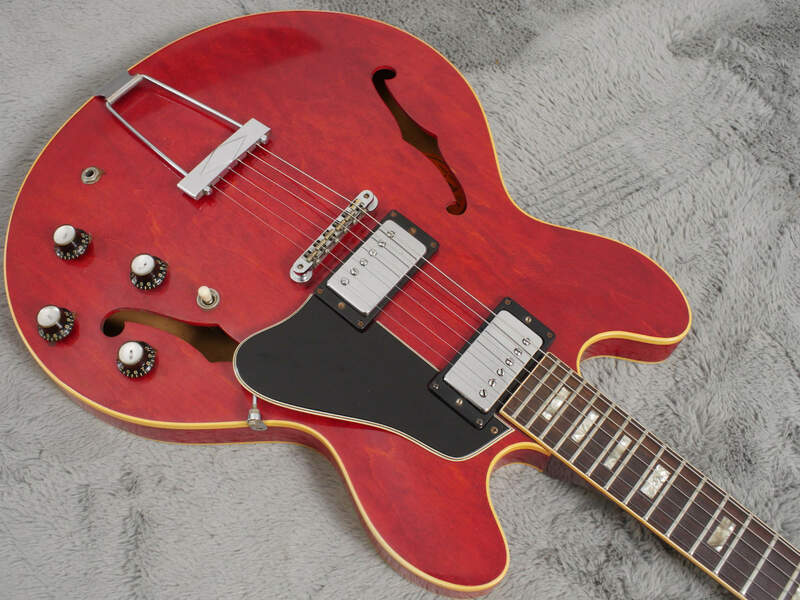 If that collection has been crying out for a 335, this might be the one!